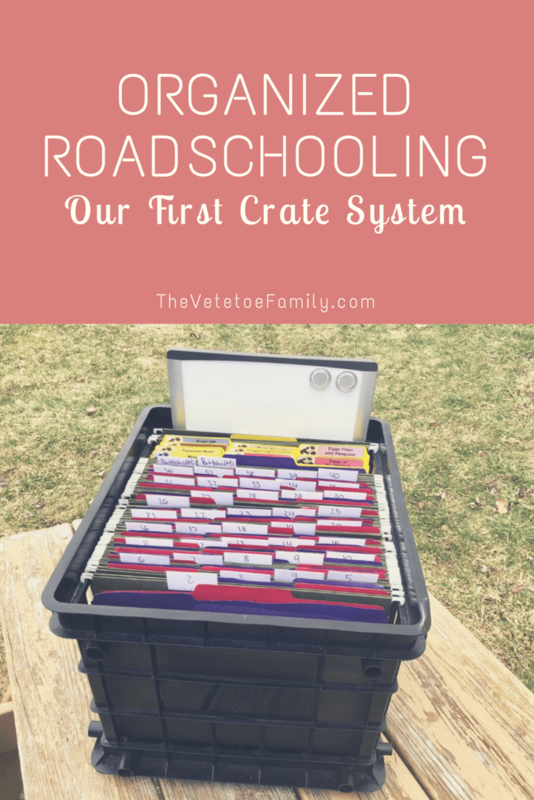 Organization is one of the biggest struggles we face homeschooling on the road or “roadschooling” as it is becoming more commonly known. To alleviate the chaos and clutter, our family decided to try the crate system for homeschooling. The method seemed streamlined, efficient, and everything I was missing in our routine. I craved the structure this system promised! 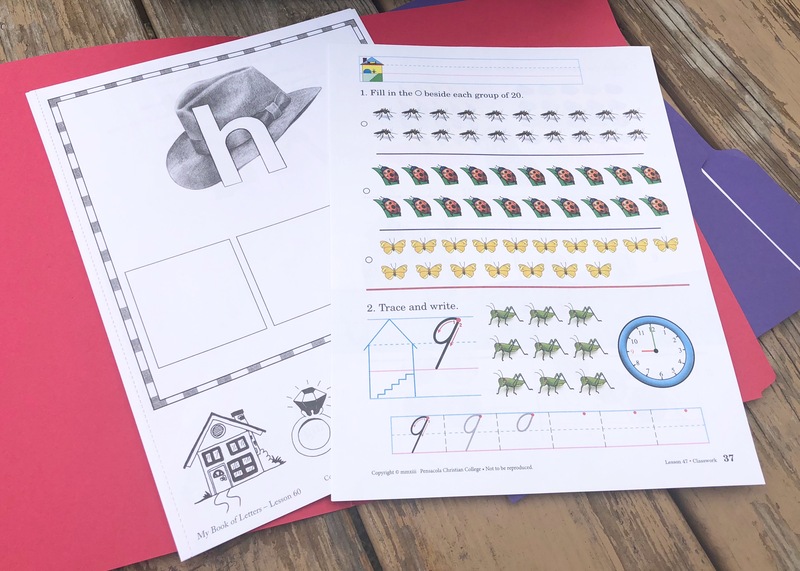 One of the best things about the crate system for homeschooling is that it is home to all the worksheets and activity sheets for the entire school year. 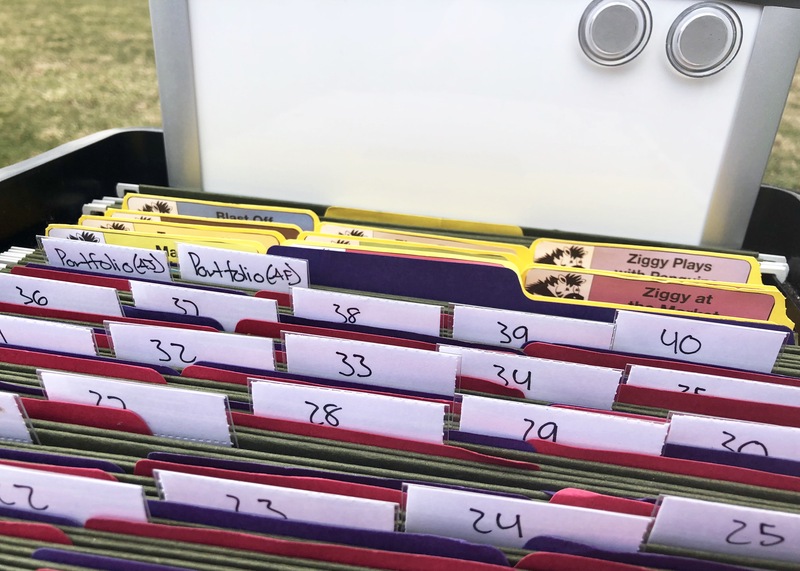 We assigned one color of file folder to each kid and a final color to group worksheets for our unit studies. The breakdown is simple. The gut-wrenching moment of making this commitment for me was having to *gasp* cut the spines off of ALL workbooks. Homeschoolers and bibliophiles everywhere just had their stomachs drop reading that sentence. I know mine did the first time I heard about this! The results though: intensely worth it. (or at least for our family) I did choose not to cut my parent books apart as we will reuse them year after year as we repeat the subjects/levels with younger siblings. 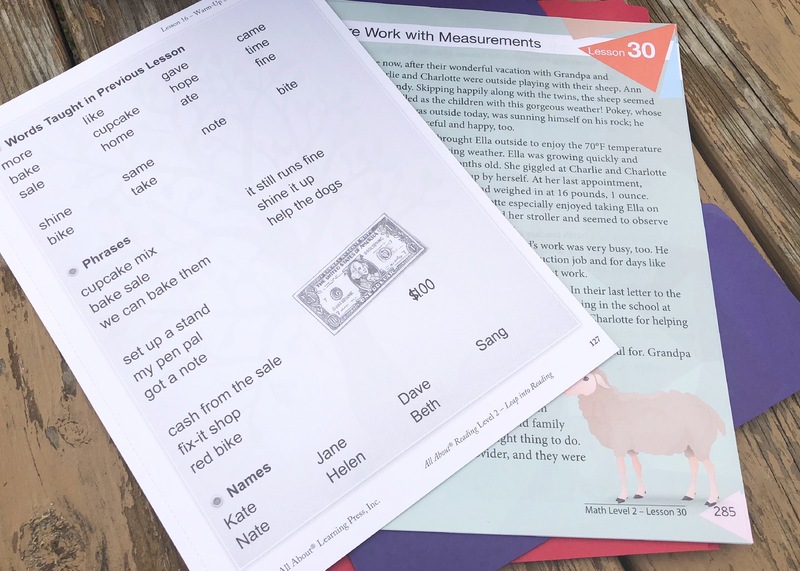 It may work out better for your family to have both the teacher guide and the assignment in your child’s folder and that’s okay! Don’t forget this is all about what fits your family, not your family fitting a system. I love that everything can be stored next to our bookcase while taking up minimal space for all of our workbooks in a convenient portable crate. This definitely comes in handy when we travel to visit family without taking our camper with us or when we stay in a hotel for an extended amount of time. We simply grab the crate, a pencil bag of supplies, and their reading books. The magnetic tiles for our reading program, manipulatives for our math programs, and even flash cards they have made themselves are all stored at the back of the crate. At the back of the system we keep a hanging folder for completed works that we want to keep for their portfolios. It isn’t a requirement for our home state but we do strive to keep samples of their learning year-by-year. This is also a great place to store our little keepsake art pieces that will eventually be laminated! 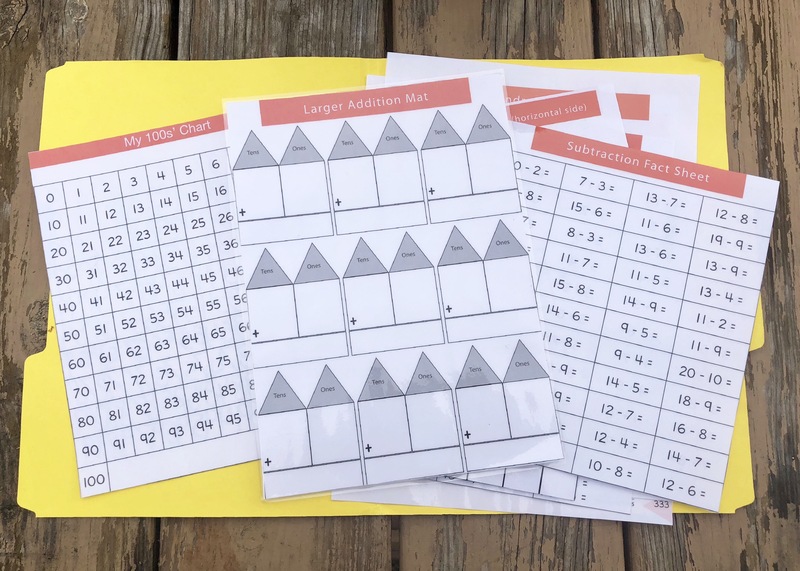 Ready to build your own crate system for homeschooling? Let us help you get started! Below are some of our favorite products but I would love to hear about any customizations you come up with! Previous articleBaby Vetetoe Number 4: 38 Week Bumpdate!